H.H. Sheikh Mohammed, the vice-president of UAE and the ruler of Dubai visited The Archive and praised its concpet in his Twitter. 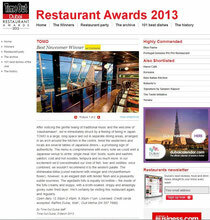 TOMO Restaurant won Best Newcomer in TimeOut Restaurant Awards 2013. 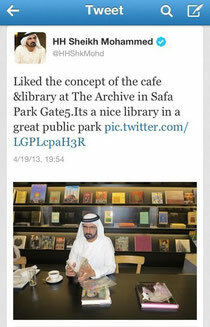 The first book Cafe in UAE named ARCHIVE is now open in Safa Park, Dubai. Brand-new Japanese restaurant TOMO by chef TAKAHASHI is now open in Raffles Dubai. Takeshi Maruyama was featured on the book 'style 101' as one of the most stylish 101 items in Dubai. 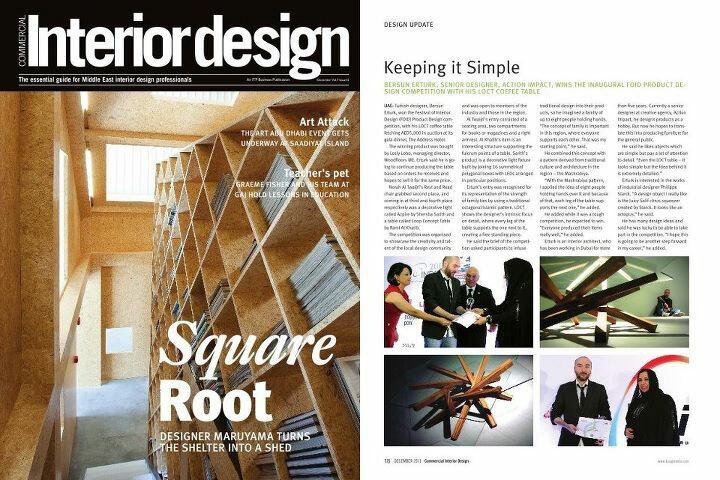 Shelter is on the cover of Interior design magazine. Takeshi Maruyama is featured as the architect for Shelter in its brochure.